is an option for GeoGraphics that specifies what parallels and meridians to show. 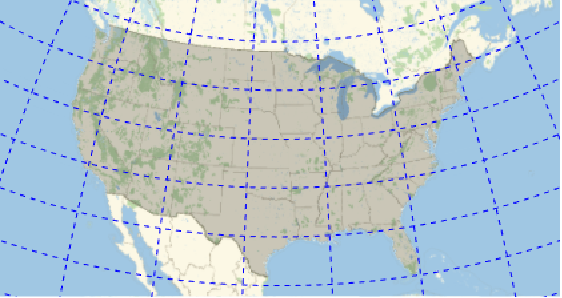 With the Automatic setting, geo grid lines are usually placed at points whose coordinates have the minimum number of digits in their decimal representation. When a positive integer n is specified for either latitude or longitude, various heuristics are applied to produce "nice" geo grid lines. 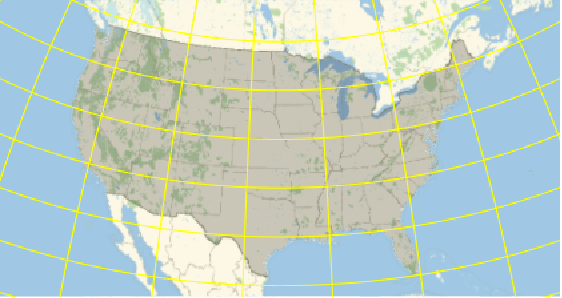 As a result, the number of grid lines actually shown may not be exactly n.
For GeoGridLines->n or GeoGridLines->Automatic, the number of grid lines shown may differ between parallels and meridians. For a Quantity specification, only angular quantities are supported. The geo grid line function func[xmin,xmax] may return any other geo grid line option. AbsoluteOptions can be used to extract explicit lists of latitudes and longitudes that were used for GeoGridLines specifications given Automatic settings. Use GeoGridLinesStyle to set styles for geo grid lines.